Noun. The game of Rock Paper Scissors (as three words, ro cham beau). The syllables called out by players of Rock Paper Scissors to synchronize their timing. Feeling competitive, but don’t have time to train for the Marine Corps Marathon? 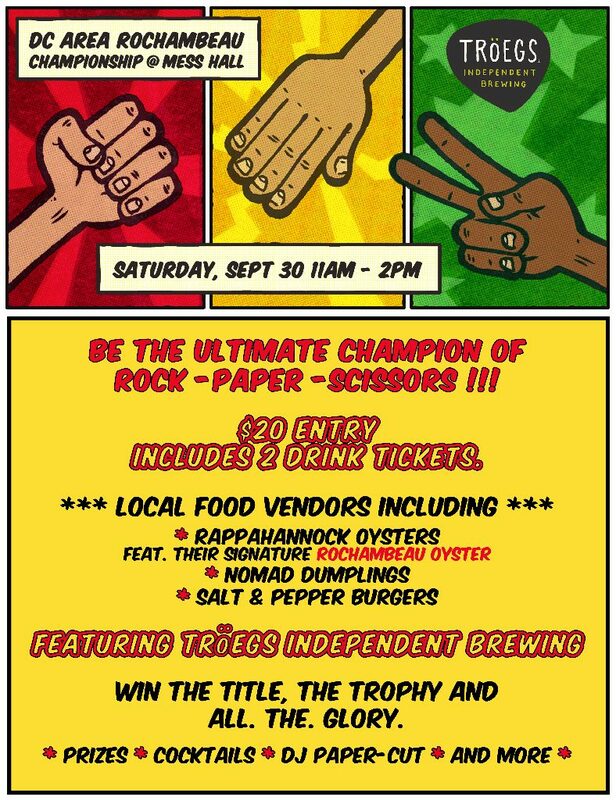 Join Troegs Independent Brewing for an epic afternoon as we crown the first DC Area Rochambeau Champion at Mess Hall on Saturday, September 30th. The best part? YOU get to be immersed in the action! Prizes, bragging rights and one mammoth trophy are all up for grabs at this showdown. All. The. Glory. Rappahannock Oyster Company will feature their premium Rochambeau Oyster. Plus Salt & Pepper Burgers will be grilling burgers to order, and Nomad Dumplings will be serving up some of DC’s best bites for purchase. Specialty Cocktails will be available (Rock, Paper, Sizzurp-themed, of course). 2 drink tickets are included in the ticket price (3 drink tickets for VIP level tix). Additional drink tickets may be purchased at the event. 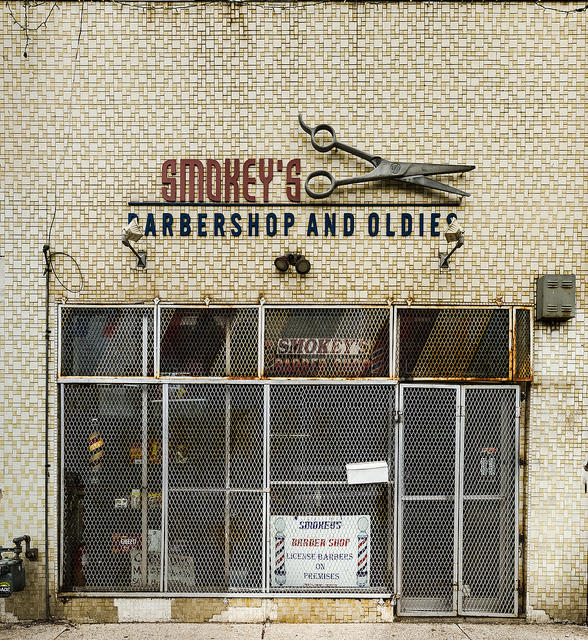 DJ Papercut will be spinning tunes, throwing rocks and running with scissors. DC’s Premier “Burger Pervert” Matthew Ramsey will emcee the activities and sign copies of his new book PornBurger, which will be available for purchase. VIP Competitor: Receive  Drink Tickets, entry into the Rochambeau Tournament, PLUS  “Mulligan” (aka  “Do-Over-Round”) for the ultimate “cheater’s sometimes win” experience. *Mullingan cannot be used in Quarter Final or higher rounds. Spectator: Do you have a friend or significant other who likes to watch? Bring along your fierce cheerleaders. This ticket includes  Drink Tickets for a discounted price. Know your stage name (GET CREATIVE! The Scissor Assassin, Paper-Chaser, etc). Choose your walk-on music (to be played as each finalist takes the stage). Have the swagger of a confident competitor who is about to wreck the competition. This your chance to have bragging rights as the DC Area Rochambeau CHAMPION!! !